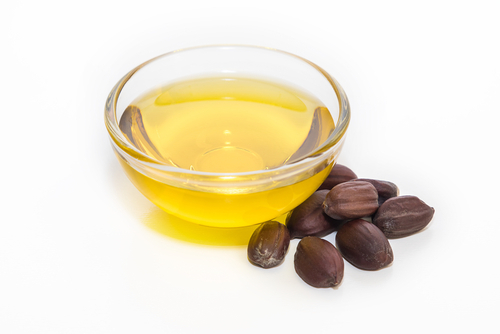 Golden Jojoba Oil for bath and body products. Known for its moisturizing abilities, this oil has a very long shelf life. This luxurious oil is great in beard oils, bod butters, lip balms, and sugar scrubs.